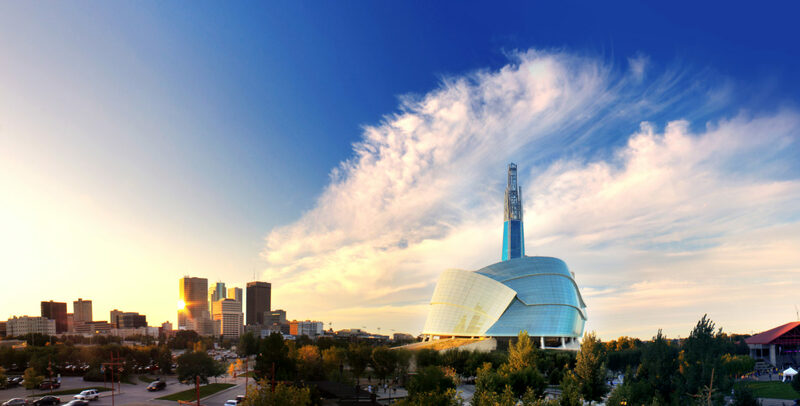 Much more than a pit stop on the Trans-Canada highway, Winnipeg has proven to be a destination in its own right with some 26 National Historic Sites, world-class museums, theatres, and internationally-revered fringe festivals, all within the city limits. Once the centre of Canada’s grain industry, the Exchange District is characterised the cobbled streets, 20th century stone warehouses and terracotta-clad skyscrapers left behind. An unexpected metropolis of pop-up shops, edgy fashion, diverse music, plus a calendar full of festivals, the Exchange District in Winnipeg is helping to transform the Canadian prairie city into a cultural centre. Since being named the Cultural Capital of Canada in 2010, the prairie city of Winnipeg, Manitoba, has continued to attract publicity across the globe for its array of artsy experiences. 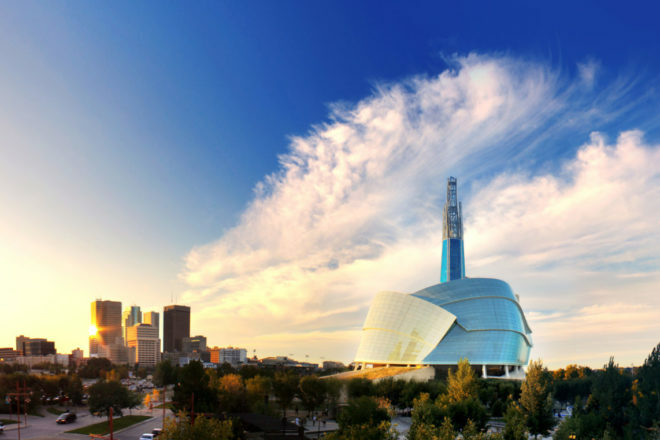 Much more than a pit stop on the Trans-Canada Highway, Winnipeg has proven to be a destination in its own right with some 26 National Historic Sites, world-class museums, theatres, and internationally revered fringe festivals, all within the city limits. 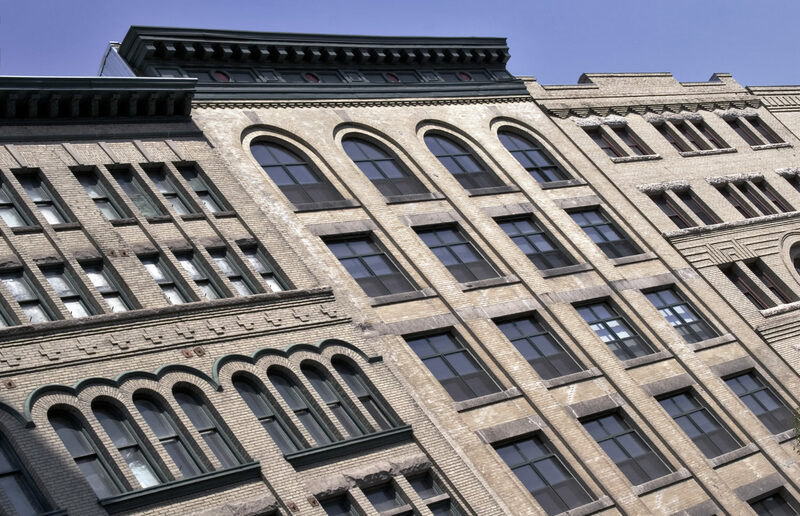 But at the heart of this burgeoning popularity is the Exchange District, situated in Winnipeg’s downtown area. Once the centre of Canada’s grain industry, the area is characterised by the cobbled streets, 20th century stone warehouses and terracotta-clad skyscrapers left behind. While this distinct streetscape is impressive, it’s the goings-on inside these structures that keeps travellers coming back. Specialty retailers, pop-up stores, restaurants, nightclubs, art galleries, and more — these are the must-see places in the Exchange District. Culinary nirvana in Canada’s heartland, the Exchange District is home to more than 50 popular restaurants within 30 square blocks, as diverse as the country itself. If you’re heading to the district early in the morning, Parlour Coffee is the place for an expert latte, best enjoyed within the artsy, minimalist café. Parlour is also said to be the first local independent café, kickstarting Winnipeg’s now thriving coffee revolution. Or for eggs with a side of entertainment, Winnipeg Free Press News Café hosts live news casting and interviews with musicians, athletes, politicians and other prominent figures, as well as regular book launches and lectures. Later in the day, Deer + Almond is a must, serving rotating menu of small plates inspired by cuisines the world over, with brilliant cocktails to match. Meanwhile, healthfood never looked (or tasted) as good as it does at the Peasant Cookery, dishing up a high-end take on comfort grub, like homemade dry-cured sausage charcuterie or baked orzo with artichokes, zucchini and goat cheese cream. When it comes to the Exchange District’s shopping scene, expect a refreshing array of one-of-a-kind finds, artisan boutiques, handmade designs and private galleries. With this welcome shift away from cookie cutter malls, are stores like Tiny Feast, stocking a carefully curated collection of modish stationery, gifts and artwork. If you’ve never been excited over a new journal, you’ll leave with a newfound appreciation for all things contemporary and beautifully designed. On the topic of design, Warehouse Artworks is lined floor to ceiling with eye-catching Manitoba scenes, painted by local artists, while Hut K does more furniture than wall-hangings, all of which is deliciously sleek, ultra-modern and dangerously tempting. For wearable keepsakes, Hilary Druxman is a popular Winnipeg jewellery designer with a flagship store just down the road, promising exquisite minimalist pieces that appeal to a range of tastes. While tiny travellers (or big kids at heart) cannot miss the whimsical charm of Toad Hall Toys, Manitoba’s largest and oldest independent toy store, importing from over 50 countries. While the Exchange District is synonymous with year-round entertainment, make a beeline for the city’s premier performance space, Centennial Concert Hall. As home to some of the world’s biggest theatre productions like Phantom of the Opera, youngsters will also enjoy events like Harry Potter and the Philosopher’s Stone in concert, featuring the Winnipeg Symphony Orchestra. You’ll also find the Royal Manitoba Theatre Centre nearby, Canada’s oldest English-language regional theatre. Said to have the highest annual attendance than any other theatre in the country, expect big-name musicals to award-winning contemporary plays. For something more grassroots, the Cinematheque is run by the Winnipeg Film Group, as part of an artist-run education, production, and exhibition centre, dedicated to promoting the art of cinema. Here you can expect to see the best in Canadian and world cinema. Then enjoy the outdoors at the Old Market Square — a beautiful urban green space in the heart of the Exchange, which is home to the city’s most popular summer festivals including Winnipeg Fringe Theatre Festival and the TD Winnipeg International Jazz Festival. While you’re in the area, it’s also worth scoping out the Canadian Museum for Human Rights, adjacent to The Forks. As sleek and refined as the boutiques that populate the Exchange District is Mere Hotel. A tech-savvy stay overlooking the river, it comes with all the luxurious trimmings you’d expect of a new boutique hotel in such an area, from about $139CAD per night. Alternatively, there is no shortage of colour and character at Mariaggi’s Theme Suite Hotel & Spa, with rooms individually decorated, inspired by cultures and countries around the globe. With infrared saunas and hot tubs featured in many of the rooms, expect to pay $475CAD per night.